How do I access Edulastic from MyCL? I'm in Edulastic, but where can I find the Carnegie Learning Assessments? Are there any other Getting Started materials available? How do I create classes in Edulastic? 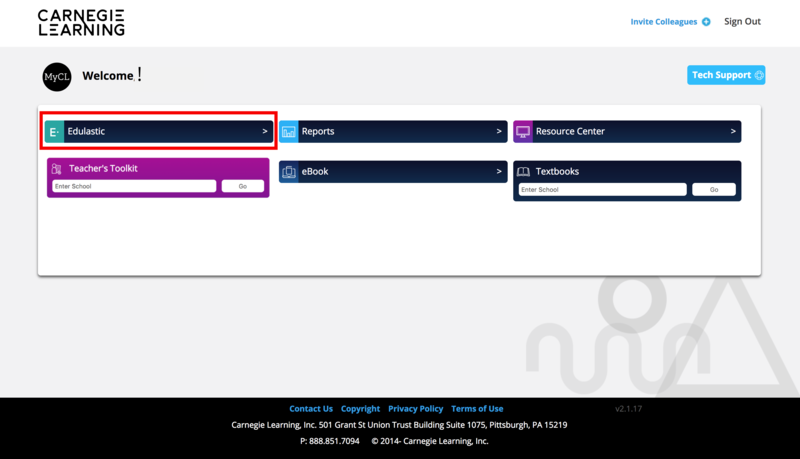 Edulastic is an online assessment platform that integrates the Carnegie Learning Math Solution assessments for teachers to print, administer, and modify for their students. Image of the Edulastic button on the MyCL portal. Visit the Edulastic Training Hub for information on getting started. There is also a Help button within Edulastic for users to get additional support.